A Little bit of Lorene: A little hint! Hi everyone! 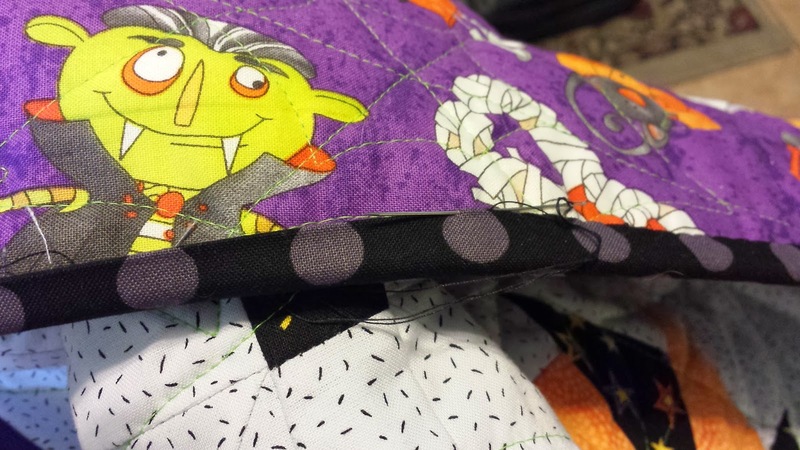 I have been madly sewing in preparation for the Wicked blog hop. Mercy, the pile seems to be growing, not going down!!! Earlier in the week, Bruce and I were in Palm Springs, CA. It was a business trip for my hubby. binding is almost done. I am really loving this quilt! All the rows are done. 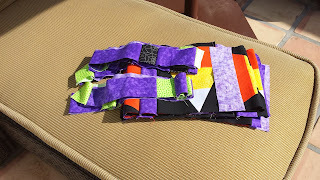 I am home now and sewing rows together. And it's looking good! yeah! !